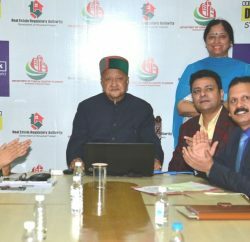 Himachal Congress seems not serious about the assembly poll as still its candidates, who were reshuffled in Dharamsala and Jawalamukhi Assembly constituencies of Kangra district are still campaigning in the earlier constituencies. It is creating confusion among party workers. 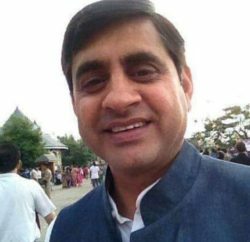 Two days ago the Congress had shifted Sudhir Sharma, who was earlier allotted party ticket from Dharamsala, to Jawalamukhi. Instead of Sudhir, the party ticket from Dharamsala was allotted to Manoj Gaddi. Sudhir had, however, maintained that he would either contest from Dharamsala or not contest. He has been maintaining his presence in Dharamsala and is campaigning in the constituency. 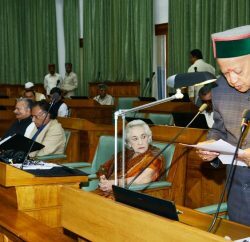 Virbhadra Singh had also issued a statement yesterday that Sudhir would contest as party candidate from Dharamsala. However the Congress high-command had not issued in favour of Sudhir. The result of the confusion is that in the Dharamsala Assembly constituency two Congress candidates, including Sudhir Sharma and Manoj Gaddi, are campaigning as party candidates. In the Jawalamukhi Assembly constituency also, Sanjay Rattan, who has now ceased to be a Congress candidate from the area, was still campaigning as party candidate. To add to all this confusion, Virbhadra arrived in Jawalamukhi and campaigned for Sanjay. The confusion prevailing over Congress tickets from Dharamsala and Jawalamukhi Assembly constituencies has rekindled expectation of other Congress leaders who had lost hope after ticket allotment by the Congress. In this regard, HPCC delegate from Dharamsala Digvijay Puri held a press conference at town and demanded a party ticket for himself. He said only a local candidate should be given the party ticket from Dharamsala. In Jwalamukhi, Block Congress president Nardev Kanwar is also lobbying hard for the party ticket. However, confusion prevailing over the Congress candidates from Dharamsala and Jawalamukhi has demoralised the party rank and file.